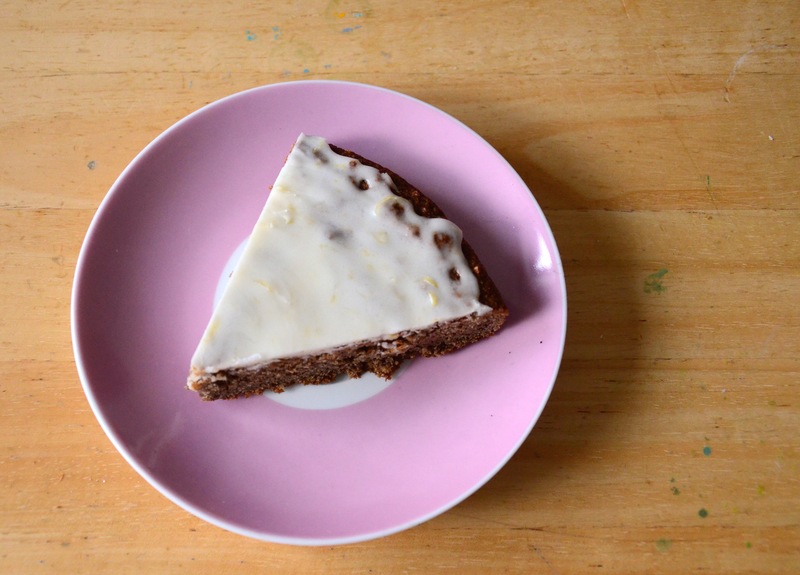 Almond Cake with Lemon Icing- Vegan & Gluten free!! Sorry for the gap in posts! Life has been very life-y. I changed jobs, visited family and one of my wisdom teeth has turned out to be the source of all evil- currently quite uneven faced. So…. though I am seriously sugar free at the moment in order to give my immune system some chance of winning the battle against invading forces, here is the as promised the almond cake! Gluten free of course. The base recipe is similar to my last few cake ones, I guess I am really liking the texture the coconut oil gives to the cake. Springy and moist with good structure. Almond Cake- gluten free & vegan of course! Put your fruit puree and coconut oil in a perspex / heat proof bowl and put it in the preheating oven for a few minutes to melt. Meanwhile prepare all your dry ingredients. Sieve your baking powder and soda incase of lumps. Take the oil and fruit puree out of the oven and mix in the sugar, stir until it dissolves. Next add in the apple cyder vinegar and almond extract. Put your dry ingredients into the wet. Mix gently, just until there are no lumps. Pour into you tin, make sure it is evenly spread. Place in the centre of the oven- or slightly to the right for me as the left is hotter. Bake for 25mins (fan) or 30 min. Done when it is coming away from the sides and if you put a skewer in it and it comes out dry. If you want to make cupcakes take 5mins off the baking time! O and put a dab of oil in your cupcake liners to stop them sticking to the paper. Mash the coconut oil until soft. Add the lemon zest. Press out any lumps in the icing sugar and add to the coconut oil. Mash press and mush them together. 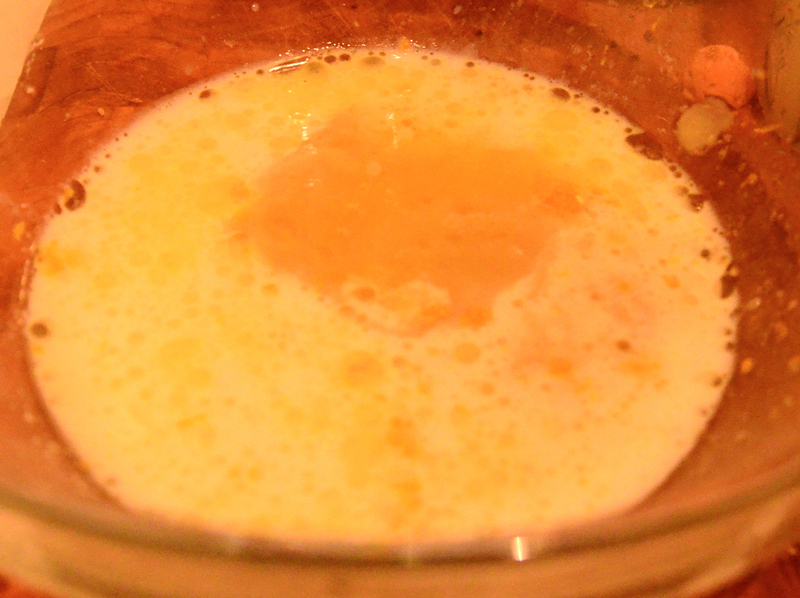 The sugar and oil take a bit of work, gradually begin adding the lemon juice and it will turn into icing. I put it on the cake when it was still a little tepid- so it melted a bit. Normally I would advise leaving it cool completely- but actually the fact it melted a little into the cake was nice!! I will also be putting up a fermented cauliflower recipe next- which I will be partaking in -lots – for the good bacteria, enzymes and yeasts! I will defeat you yet tooth! Quick! Cupcakes needed!!!! Easy to make, easy to eat. Sweet and citrus-y with a hint of cinnamon its…. To make the glaze just mash the coconut oil and cashew nut butter together. Next mash the date syrup and orange juice into the coconut oil and cashew nut butter. Ta-da! Glaze! 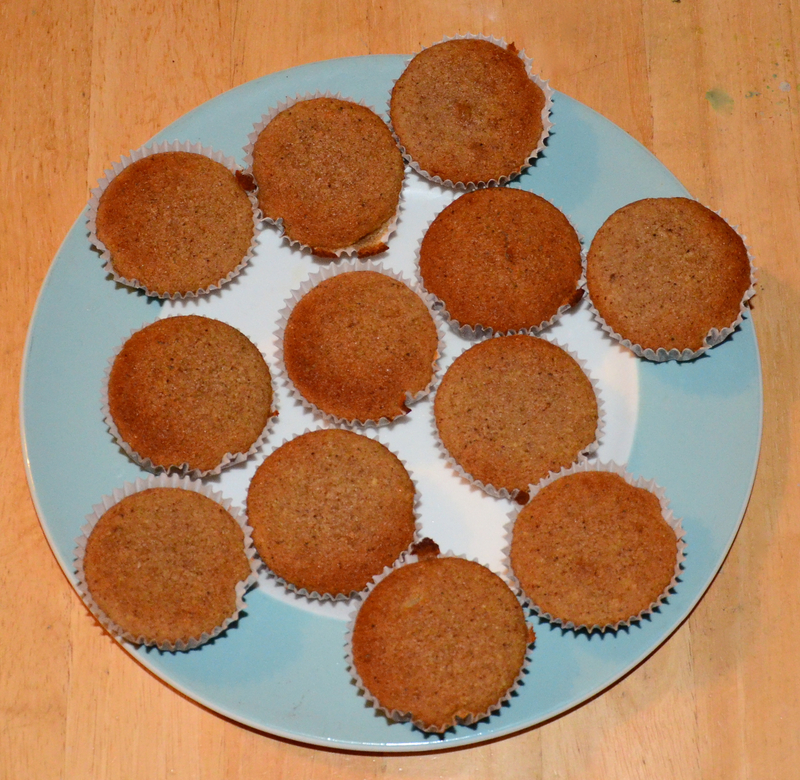 Preheat your oven to 180C/350F and line a cupcake tray. The recipe makes twelve! Grab two bowls. In your first mix all the wet ingredients including the orange zest. Give a bit of a whisk. Now mix all your dry ingredients. It is worth sieving your soda, baking powder and cornstarch as lumps of these in your cupcakes is unpleasant. Pour your dry ingredients into your wet. Gently fold it all together. The bread soda/ bicarbonate will react with the cyder vinegar and start to create bubbles. If you are too rough you will knock the air right out. They take twenty minutes in my fan oven at 180C/ 350F. They should be golden and darker at the edges. If unsure stick a skewer in one- it should come out dry. Leave to cool completely before putting the glaze on. *My little liners are for traditional faery cakes- much smaller than a cupcake or muffin, but cupcake tins seem to only come in big sizes now. This means the cupcakes spread out a little – not up. 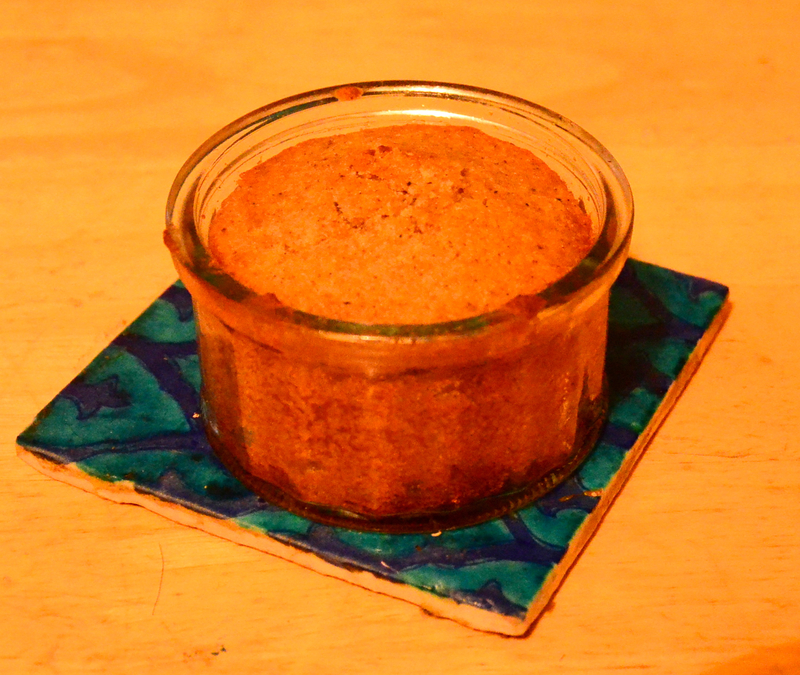 The trick is shown in my ramekin cake- this was filled two thirds of the way up- but look at the rise! Because it could only go up! I like to switch about what I sweeten my baked goods with. I stay away from refined sugars and corn syrup !! Eek- not healthy. I am all for moderation and variety. Rapadura/ sucucant sugar are pure dried cane juice. This means the molasses is not removed, and some minerals and vitamins remain in the sugar. 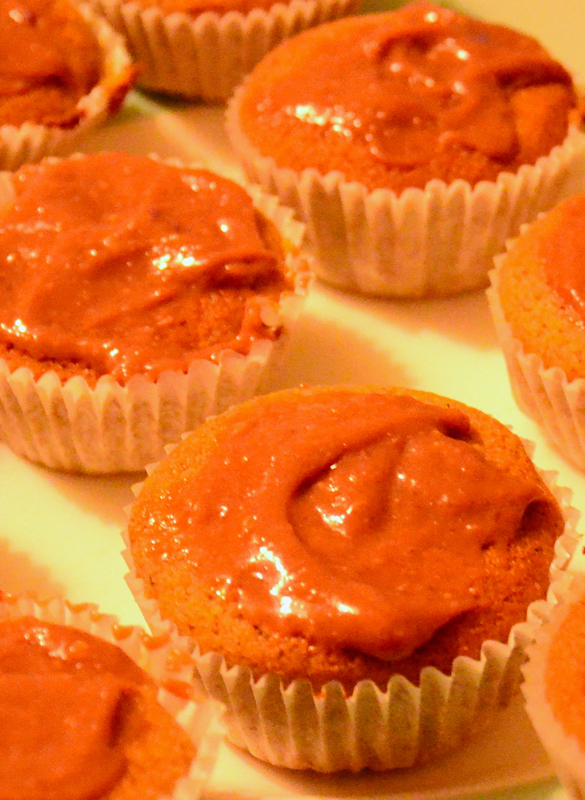 In this recipe I used apple puree, agave and dates these have fructose as opposed to glucose. Too much fructose is not good for you either! That said they contain some nutrition e.g the dates have a good number of minerals- more than can be said for white sugar! 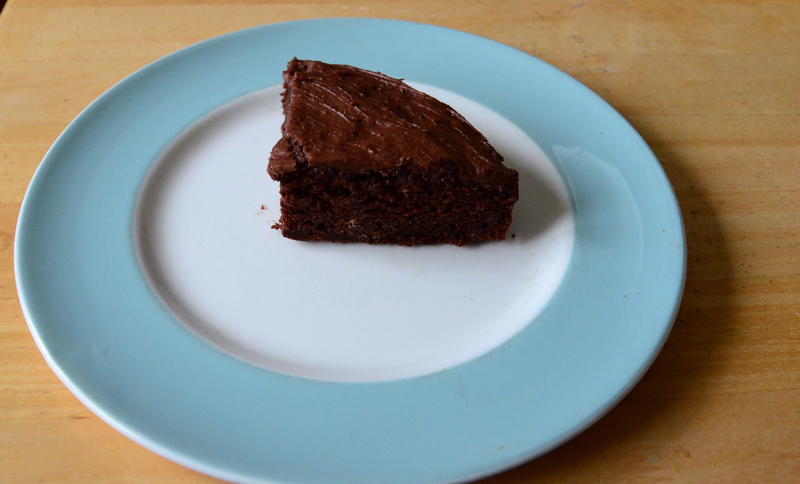 Its Classic Chocolate Cake – gluten free & vegan & yummy! 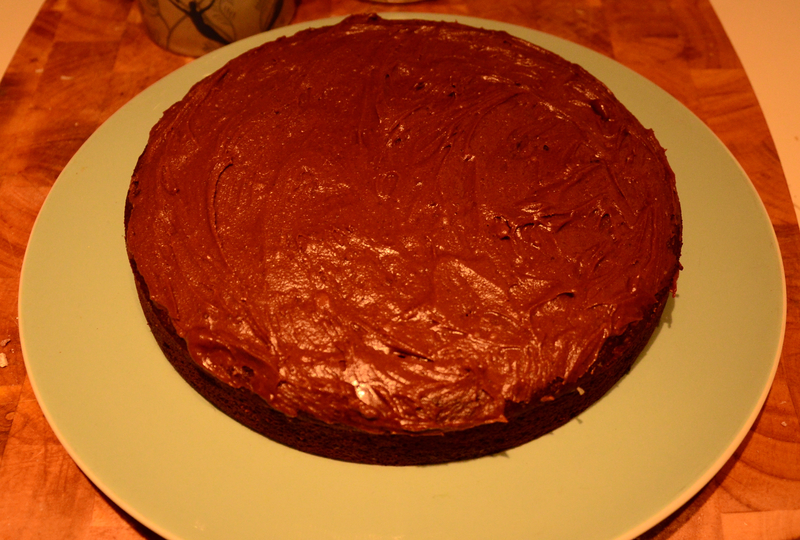 Classic Chocolate Cake, it also a classic vegan cake. 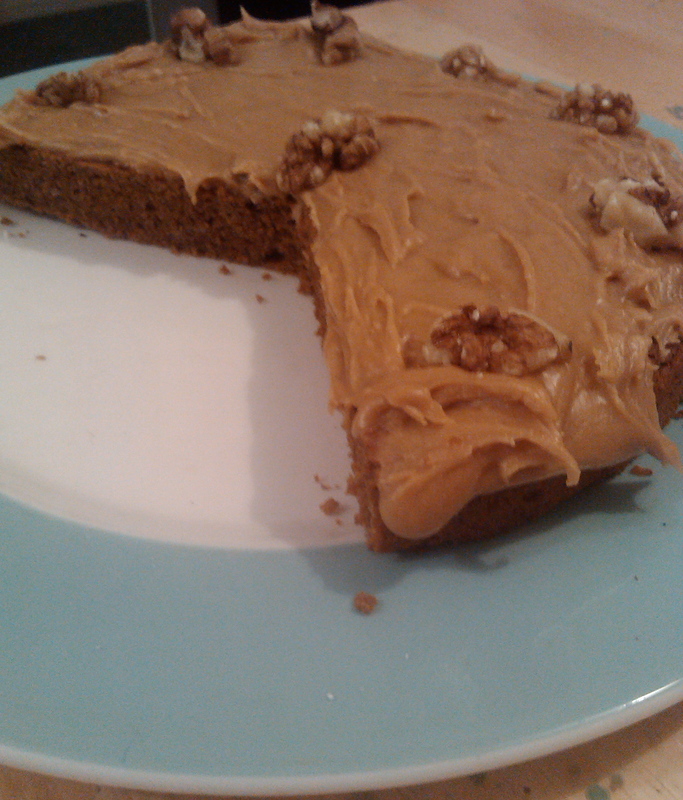 Lots of vegan cakes use non dairy yoghurt instead of eggs or and apple puree, which I do in this. I have discovered the ingredients are somewhat flexible. If you find you have no yogurt you can use banana. Not enough apple puree, add more yoghurt and banana! The gluten free flour is easy to change about, though I recommend not going over a third of a cup of buckwheat as it can become sour. * and take out 3 dessertspoons as it will be a tad to sweet otherwise! A third of a cup of boiling water plus a a dessertspoon. Pre-heat your oven to 180C/ 355F. Grease a 20cm/ 7.5inch cake tin. You will need two bowls. 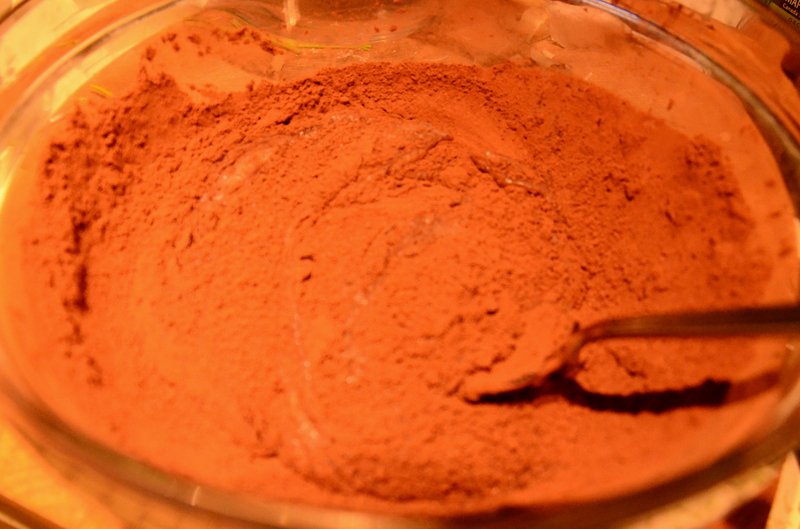 In the first bowl put in your apple puree, yoghurt, oil and sieve in the cocoa and cacao powders. Give a good stir. If you are using vanilla extract not powder add it to the wet not the dry. 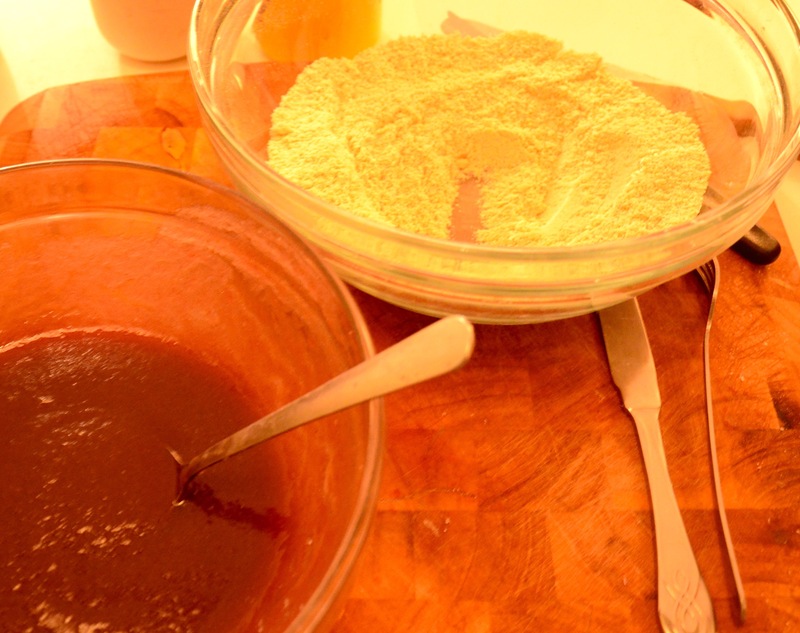 In your second bowl add the flour, ground almonds, cinnamon, vanilla, baking powder,soda, cornflour and salt. Now the clever bit. Add your third of a cup of hot water to your apple-y cocoa bowl. Stir it through. Add in your sugar and mix it again, making sure there are no lumpy bits. Gently fold in half your dry ingredients. Add a dessertspoon of hot water and carefully give a stir. Add the rest of your dry stuff. Really be nice folding it in, fold in your chopped chocolate and walnuts. Do not over mix. You do not want to knock the air out. Pour into your prepared cake tin. Put it in the middle of your oven. I put mine slightly to the right as the left is a bit hotter! It usually takes 25mins. I peeped a couple of times and it took 30mins this time. It should be coming away from the sides of the pan, a little domed and cracking a bit. If you poke it with a skewer it should come out clean. Leave it to cool for ten minutes before turning it out to cool on a rack. I left mine to cool on the windowsill – one of the first signs of winter! When completely cooled you can ice it. Mash your coconut oil to soften. Sieve your icing sugar and cocoa in add your vanilla. Mash and press the mixture until a crumbly texture. Add one spoon of warm water first and mix again. Use warm water as cold water would make the coconut oil go solid again. You may or may not need the other half spoon of water. You want it to be soft and spreadable but not runny. 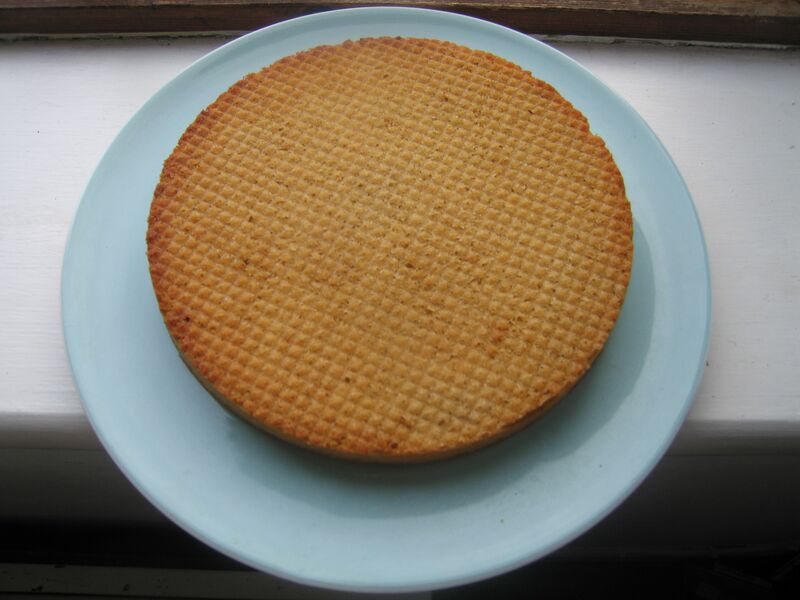 I plop all mine in the middle of the cake and sweep it to the edges with the back of a spoon or knife. This is enough icing for me, as you can see by the picture it is not smothered in it. You can always increase it by a third if you want a thicker layer. Last big slice! All it needs now is vegan ice-cream! So my lovely” detox healthier me” plan went a little astray over the weekend. I was away with my sister and much fun was had, but a few alcoholic beverages were also had. 🙂 I had some superfood powders with me and took lots of spirulina so I was quite good really. In my holistic approach it is not healthy to be too strict either and it is rare I get too spend time with my big sis! So I am back on track again I will preparing myself a wheatgrass shot shortly. 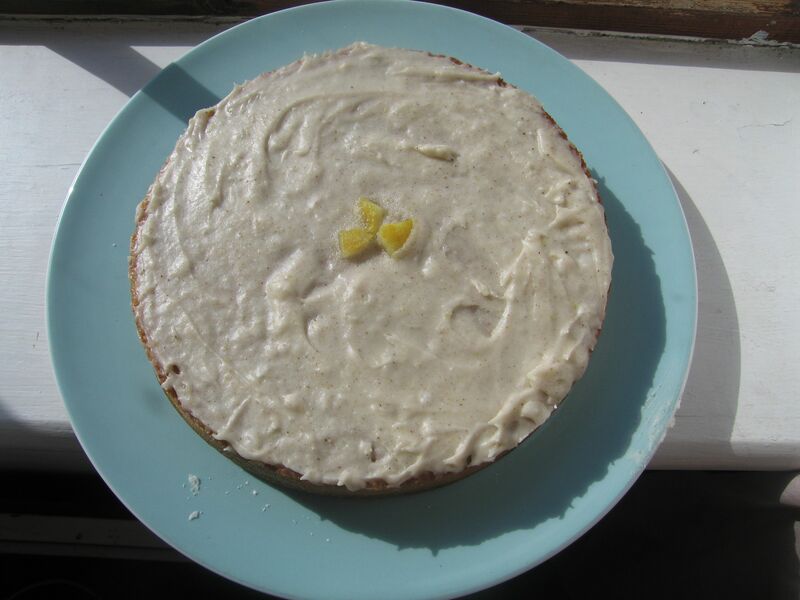 For all you guys not detoxing here is a Lemon Cake! It is vegan (obviously), gluten free and sweetened with agave. The icing/frosting is made with icing/ confectioner’s sugar. But there are some alternative options as the bottom of the post in regards to sugariness. Two thirds of a cup of soya/ coconut yogurt. Some coconut yogurts are very set so feel free so add a little coconut milk if nessacary. Mix these ingredients together and leave to sit and curdle while you prepare the other bits. A third of a cup of a light sunflower oil. I found I had run out of sunflower when I went to make this. I melted four scant dessertspoons of organic cold pressed coconut oil instead. 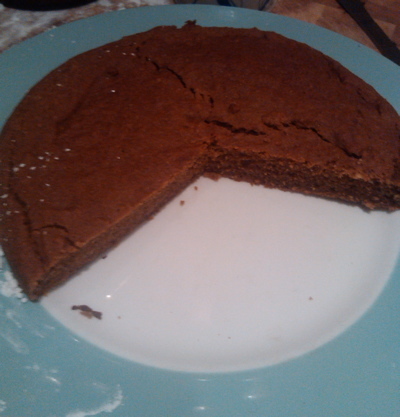 The coconut oil changed the texture, it was more set than crumbly but tasted just as good. A quarter cup of apple and strawberry puree. You could just use apple if you like. One teaspoon of sieved cornstarch. 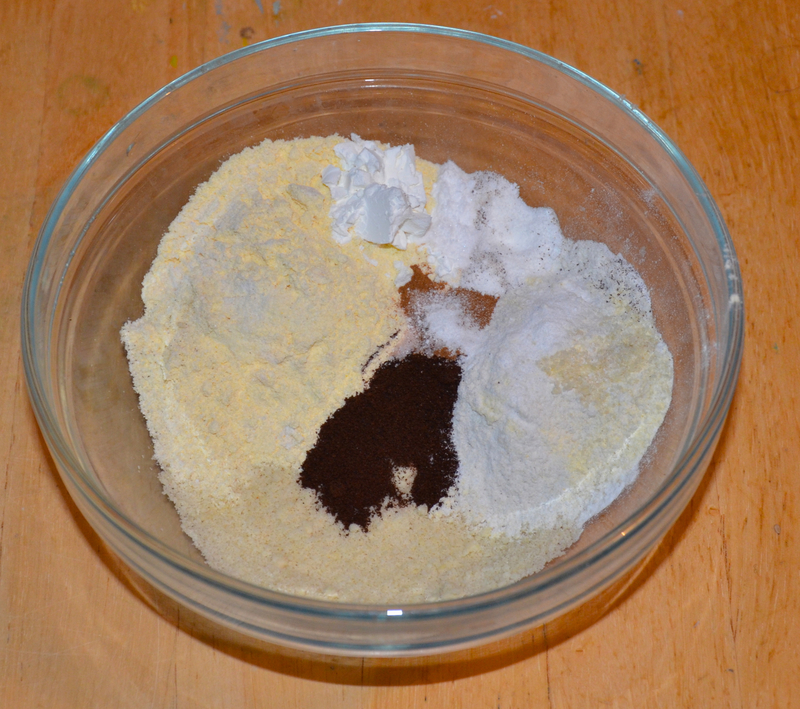 Mix these together in order, sieving in the cornstarch and then giving everything a quick whisk. Half a cup of ground almonds- almond flour. One teaspoon of vanilla powder. If you are using vanilla extract add it to the agave. Half a teaspoon of bread soda/bicarbonate of soda/ baking soda. So many names for it!! Preheat your oven to 170C / 340F if a fan oven, prob 180C/350F if not fan. Prepare a 7.5 inch / 20cm cake tin. Put a square of baking paper in the centre and lightly grease. Get a bowl and mix your agave, oil and fruit puree. Sieve in your cornstarch and give it a whisk for a minute. In another bowl put in your maize meal, add your ground almonds and press out any big lumps. Add your vanilla powder and salt and give the ingredients a mix. Sieve in the baking powder and baking soda- I always sieve these as it is pretty horrid to come across a lump of them in your lovely cake. Now mix everything again! 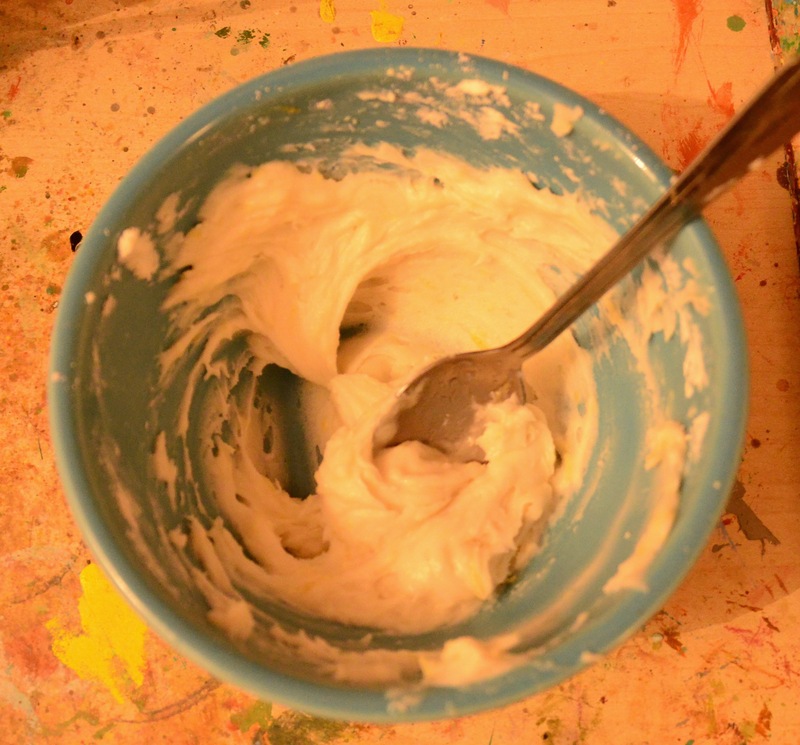 Add your yogurt mix to your agave mix and give it a quick whisk. Quickly yet gently add your dry ingredients to the wet. Lightly fold the dry in, just until they are combined. NO OVER MIXING and leave your worries and tension to one side so you do not beat the cake batter up! Pour the batter into your cake tin and put it straight into your oven. Heed the advise, if you over mix the cake will be dense and will not rise. It takes 30 minutes in my fan oven but it could take 35 in a normal one. It is done when it starts to come away from the sides, there are little cracks on the top and it is going a light golden colour. If it looks good take it out and stick a skewer in it, if it comes out dry then your cake is done. Leave it in the tin for 10 minutes to cool. Gluten free goodies can be a bit delicate and crumbly while warm. Treat it kindly when you turn it out to cool on wire rack. delicately balanced on my windowsill! If you were to serve it as little lemon fingers I think you could get away with just squeezing a little lemon juice on top. This was a birthday cake for one of the guys I work with. 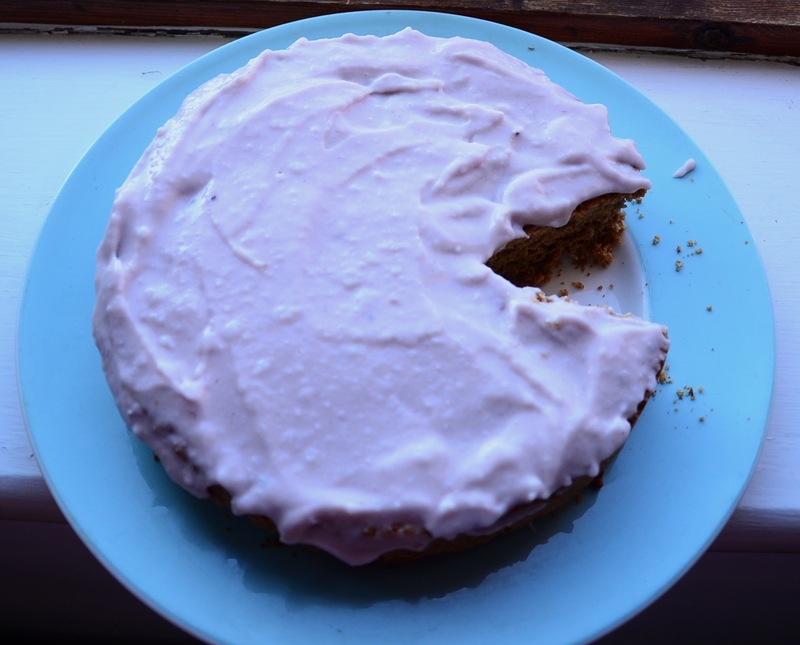 He doesn’t mind a bit of sugar so I made a Lemony icing! One dessertspoon of warm water – cold water would make the coconut oil re-solidify. Mash the coconut oil, sieve in the icing sugar and vanilla, mush mash and press so the fat is taken up by the sugar. Add your lemon juice and zest and give it another good mix. If it is still not forming a smooth spreadable mix you can add a dessertspoon of warm water. Make sure your cake is completely cooled before putting your icing on. I put a few little bits of lemon skin on a decoration. A mug or cup measures. I tend to just use the one mug for everything, like I’ve said before as long as you use the same mug it will all be in proportion. A 20cm/ 7.5 inch cake tin and some baking paper to line it. Half a cup of apple and apricot puree – I buy an organic one by a brand called Clearspring, if you are amazing you can make your own. You could also use plain apple and use apricot yoghurt and just switch the measurement about. A quarter cup of coconut/ soya yoghurt – you could use apricot flavour to intensify the fruitiness or I must insist on apricot flavour if you are using half a cup of this and a quarter cup of puree. A half a tsp of vanilla powder or a tsp of vanilla extract but if using extract put this in with the wet. Preheat your oven to 180C/ 350F. Prepare your 20cm / 7.5inch cake pan, this size pan makes a low cake. this is perfect if you want to make a two layered cake without the hassle of cutting through cake slices. If you prefer a higher rise just use a cake tin a size smaller. First a get a bowl and put in your oil, fruit puree, yoghurt and coffee extract. Grab a sieve and sieve the cornstarch, now put your sugar and xylitol into it, I always sieve my rapadura sugar but is hard work sieving xylitol so even if you just sieve out the lumps in the sugar it should be sufficient. If using vanilla extract add it now. Give it all a good whisk. Get another bowl and put all the dry ingredients into it. Make a well in the centre and pour your wet mixture into this. Gently fold the mixtures together, be nice to it, you just want to get rid of any floury lumpy bits. 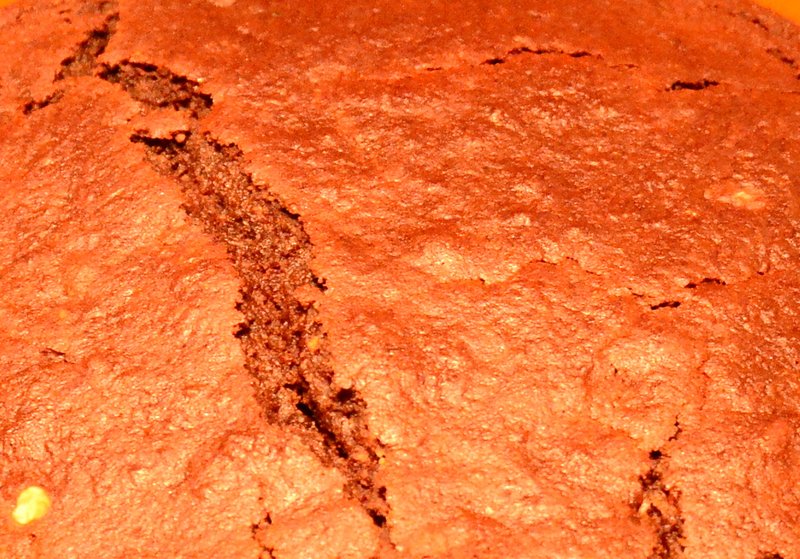 If you are too rough or over mix you will knock the air out and end up with a dense cake. After 5 mins turn down your oven to 170C/ 340F. It takes 23 minutes in my Uber fan oven it could take 25 or even 30 depending on your oven. You will know it is done when it is coming away from the sides maybe little cracks are starting to appear ontop, also when you stick with a skewer it should come out dry. You will get to know your oven, like I have to put everything on the right hand side cos the left is too hot. 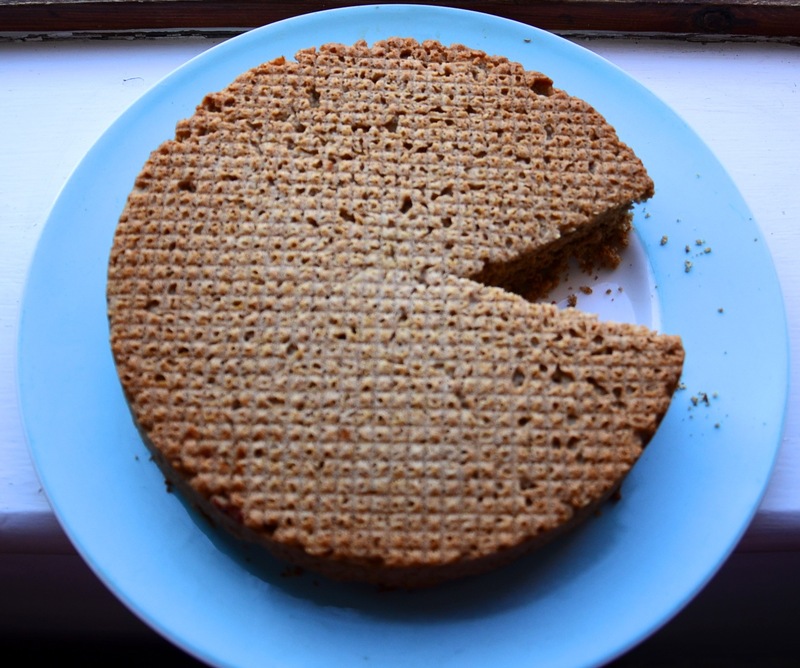 So you could leave it like this, slice it into fingers and have it with tea or coffee. But to really finish it off it needs to be iced (frosting). Just make sure it has cooled down first! This is like a soft royal icing or a butter-cream. Get a bowl and add your coconut oil and mash it until soft. Add your coffee essence/ extract and mash again. Now add your icing sugar, really get in there to make sure really mixed together, use the back of your spoon to press out any lumps. Now add your hot water, it is important that it is warm, cold water will make the coconut oil re-solidify. Mix to a nice smooth spreadable texture. Put on your cake and arrange the walnuts to decorate. Preheat your oven to 170C/ 340F if a fan oven 180C/ 350F other wise. I use Vanilla powder if this is unavailable add 1 dsp of vanilla extract to your agave. • 2/3 squares of 72% vegan fair trade chocolate finely chopped set aside for later. I use one that is sweetened with Xylitol. It is an English brand called Plamil. • 3 dsp sunflower oil or rapeseed oil (i.e canola) Always org cold pressed and in a glass bottle! Leave this to sit and curdle a little, meanwhile organise the other ingreds. • Add the banana, milk etc mixture into this and ..
Whisk and jump up and down so it knows your serious! So now so get your dry ingreds ready. You don’t have to sieve everything but do sieve the baking soda, baking powder, cornstarch, cocoa and salt. Lumps of any of these are like sooo not nice! Seriously! • 1/8 tsp or ¼ tsp org cardamon powder- depending on your love of it! Gently combine the dry into the wet, softly – just until no visible floury bits. Use a dessertspoon to fill your cupcakes- because they are vegan and gluten free they will not rise as high so fill to almost the top of the liners. Sprinkle the tops with the finely chopped chocolate and stick in the oven. Bake for 20min in fan oven could take 22-25 in reg oven. Melt in a bowl over warm water and simply pour over your cupcakes, now super chocolatey!I really hope you like them! It’s made me hungry now. I might make them over the weekend and add a picture or two!! !